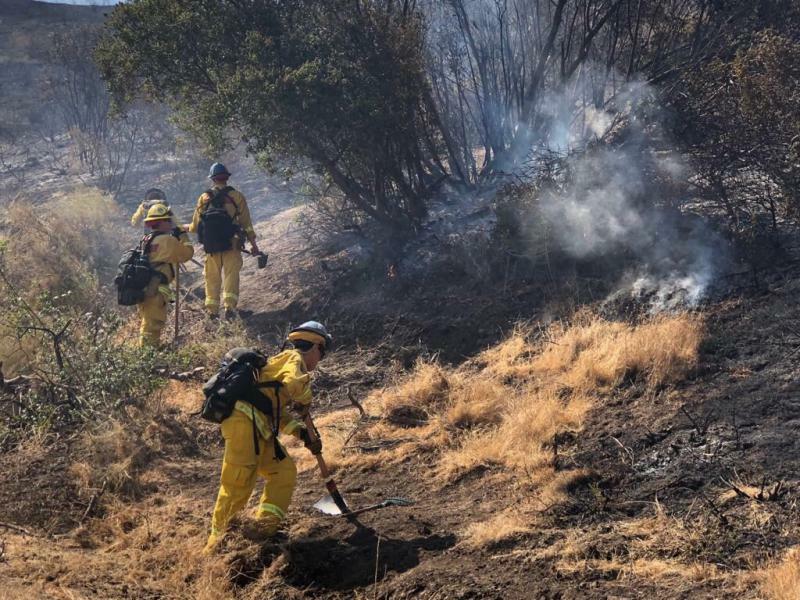 A woman has been arrested on an arson charge in the wake of a brush fire in eastern Ventura County. 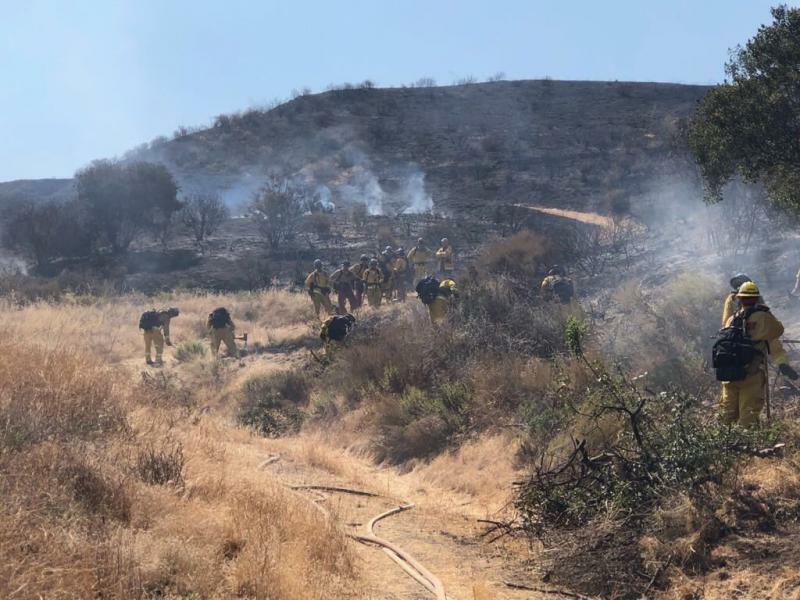 The fire was discovered just after 9 a.m. Wednesday off of Tapo Canyon Road north of Simi Valley. The blaze moved quickly through brush in rugged terrain. Firefighters stopped the growth of the fire in less than two hours, and were focused on mopup work by midday. Based on information from an eyewitness, Ventura County Sheriff’s deputies stopped, and eventually arrested Alexandria Gindelsberger. Eric Buschow, with the Ventura County Sheriff’s Office, says the 33 year old woman was booked on an arson charge, as well as for possession of drug paraphernalia. The fire charred just under ten acres of land. No structures were threatened. One firefighter was treated for heat exhaustion.